The Chevrolet Cruze keeps you connected when you’re on the go. With support for Apple CarPlay™ and Android Auto,™1 you can interact with select features on your smartphone through the standard 7-inch diagonal Chevrolet MyLink display. Available active safety features make the most of advanced technologies. 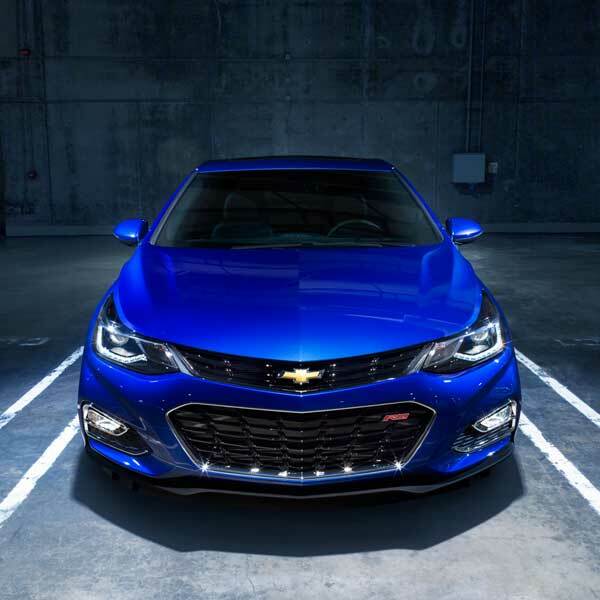 The Cruze is engineered to provide a roomy, nimble and efficient ride. 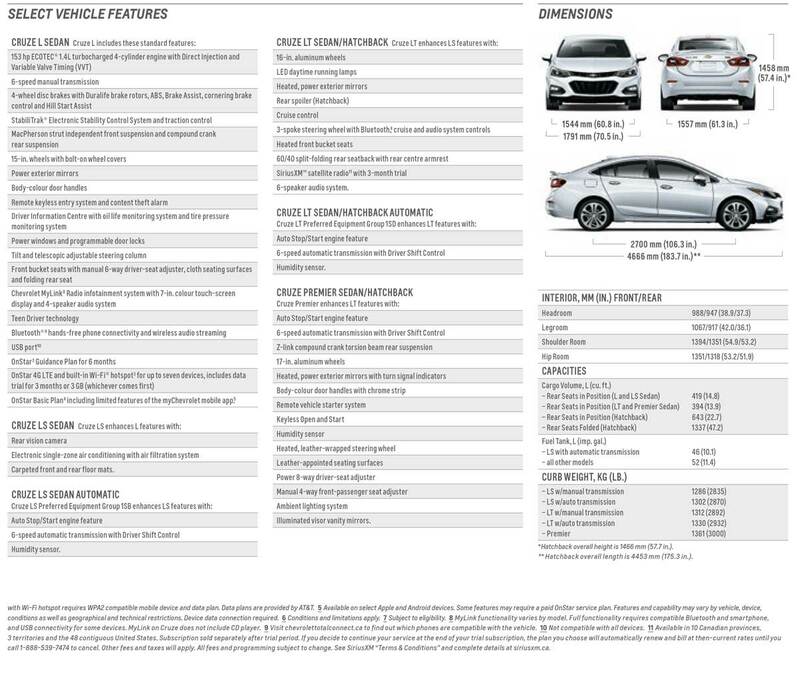 Cruze keeps you moving by offering up to 40 MPG highway on LT Sedan and 39 MPG highway on Premier Sedan. And LT Sedan offers a maximum highway range of up to 540 miles per tank. So you can go everywhere you want to go with fewer stops along the way.